>> Infant vs Convertible Car Seat – Which One Do You Need? 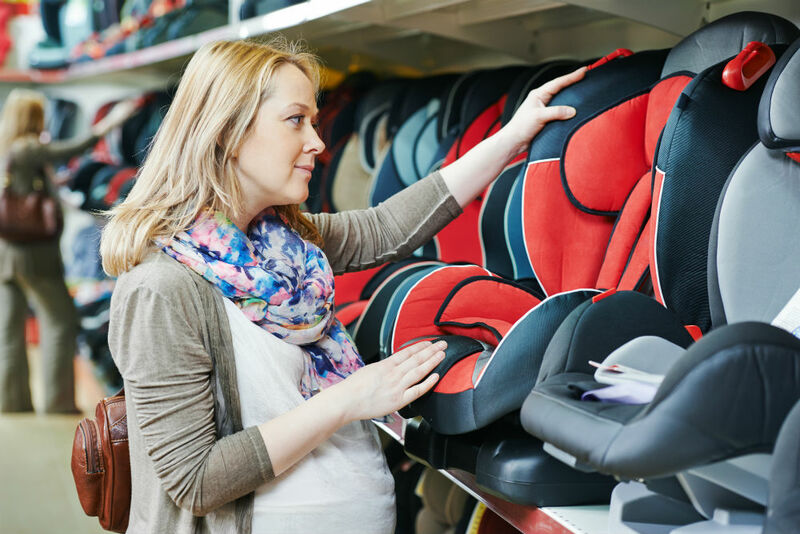 Infant vs Convertible Car Seat – Which One Do You Need? You have a newborn baby. Congratulations! Now, you have to deal with the day-to-day joys and stresses which come along with that. One of those stresses is how you are going to transport your child from place to place. Should you choose an infant car seat or a convertible car seat? What are the differences between the two? Which is best suited to my lifestyle, car, and child? There are a lot of questions to ask, and, when it comes to the safety of your child, you should be asking a lot of questions. Infant vs. convertible car seat? Which one wins? When it comes to a straight choice between the two, there is no clear winner. The only winner is the one which fits into your life with the least disruption, and that will depend a lot on your child. So, how do you choose between an infant car seat and a convertible car seat for a newborn? One main difference between an infant car seat and a convertible car seat is the way they are attached and secured in your car. An infant car seat is the more traditional of the two. An infant car seat faces the rear of your car and comes in two pieces: a carrier and a base. The base is attached to your seat with latch connectors and permanently stays in your car. The carrier can be clipped in and out of the base as needed. This gives you the benefit of being able to lift the car seat out of your car with your baby in it. Do you want to let your child sleep when you take them from the vehicle? This car seat is perfect for that. You will also find that most carriers are also compatible with strollers. It also gives you a way to securely move your baby from car to somewhere else and vice-versa. Need a stroller to match your car seat? Many new parents opt for an infant car seat over a convertible car seat initially so that they can combine it with a stroller. You can save money by buying your infant car seat with a stroller in a bundle. Check out our Car Seat Stroller Combo Guide for more information. Convertible car seats are a permanent attachment for your car. Once your car seat is attached, it should be left in place permanently. It comes as one piece, so you cannot unclip a carrier and move your baby to another location. This means that you cannot buy a stroller frame which is compatible with your car seat system. You will also have the chance of waking your baby as you remove them from your car. Where you get the main benefit from a convertible car seat is in an infant’s later years. A convertible car seat starts out as a rear-facing car seat, but as your child grows, you can convert it to a front-facing car seat. It is recommended that infants are in a rear-facing car seat for at least the first year of their lives, and both an infant car seat and a convertible car seat will give you this. There are even some governing bodies which recommend that you keep your child in a rear-facing seat for two years, and, again, both styles of car seat can give you this. However we've found that some convertible car seats offer extended rear facing in terms of height and weight limits compared to infant car seats. When your child does grow (and believe me, they will), you can switch a convertible car seat from a rear-facing to a front-facing car seat. It takes a little work to change the position, but the instructions are usually clear and easy to follow. Once you have a front-facing car seat, you can continue to use it for another year or two. This means that you do not need to buy another car seat for your child. With an infant car seat, you will need to purchase a forward-facing seat when your child is old enough. What About All-In-One Car Seats? In comparing the benefits of infant vs convertible car seats it would be remiss of us not to mention all-in-one car seats. Although these are the most expensive type of car seat, they are also the only seat you will ever need. They solve the issue of having to get a booster seat once your child grows out of their convertible car seat. Check out our All-In-One Car Seat Reviews for further information. With man things in life, a large part of every decision comes down to money. 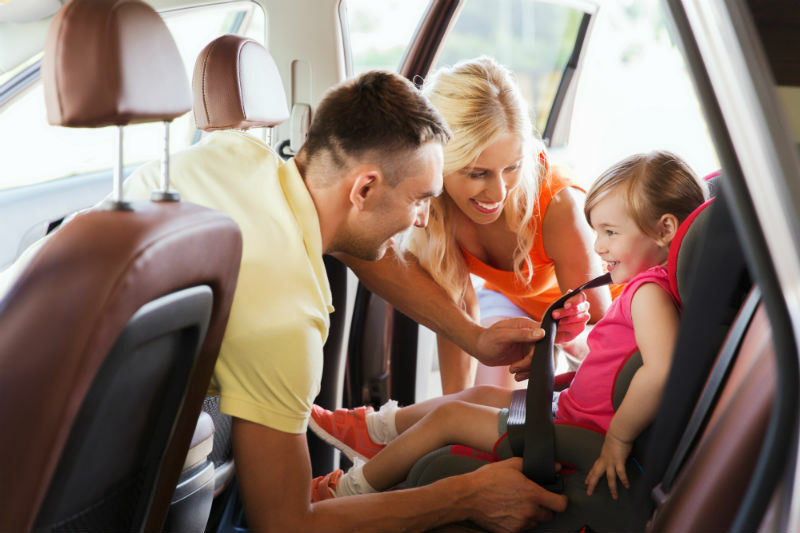 Both car seats will save you money in different ways, and it is dependent on your lifestyle, which makes more sense for you. It is obvious to see how a convertible car seat will save you money. When your child is old enough for a forward-facing seat, you do not need to buy them a new seat; you only have to purchase the one seat (and there is also less waste in the world). With an infant car seat, you can save money on a stroller purchase. The carrier part of the seat often fits into stroller frames. This means that you can buy a stroller and car seat set and save money by combining the two purchases. The thing that I like about an infant car seat is the amount of time it saves you. Being able to move your child from the car without waking them is a big bonus in the early years. Of course, as your child grows, it is going to become harder to lift them as they become heavier. If your child becomes too heavy to lift, then you are going to lose the features which make an infant car seat worth having. When it comes to your choice of a car seat, there is no right and wrong answer. Both an infant car seat and a convertible car seat can work for you; it depends on what you are looking for and how you are going to use your car seat. If you want to save yourself some money, then a convertible car seat is the way to go. The fact that it doubles the lifespan of the seat means that you will be buying only one car seat instead of two. If you want something that will make transporting your child to and from the car easier, then an infant car seat is the way to go. The only thing to think about when you are choosing your car seat is the safety of your child. It does not matter which style of car seat you choose, as long as your child is safe; then you have made the right choice.